Yum! Yum! 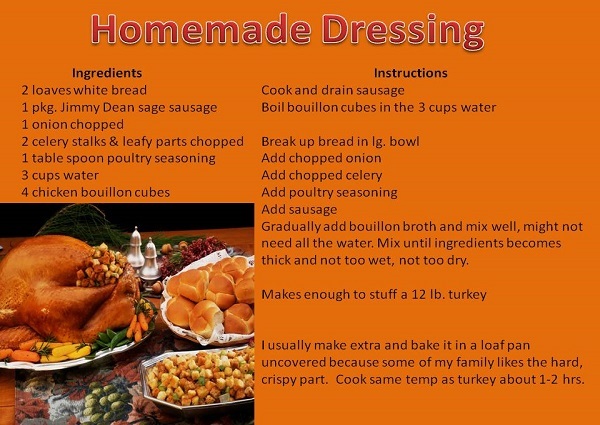 Just finished making my homemade dressing to stuff the big bird on Thursday. It's a family tradition and I haven't missed making it in forty-plus years. The recipe is below. Good for Christmas, too!